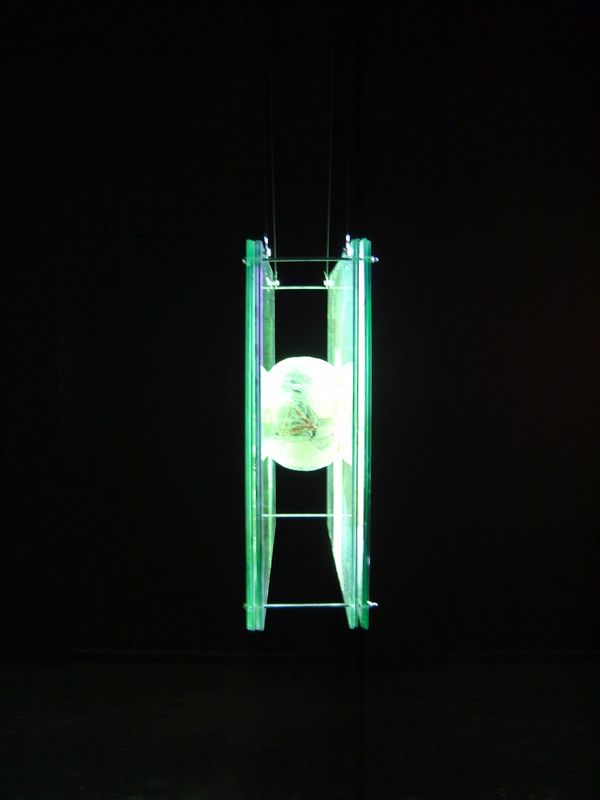 A hanging construction made from 6mm glass panels in between which a soccer ball covered in animal fat is suspended. 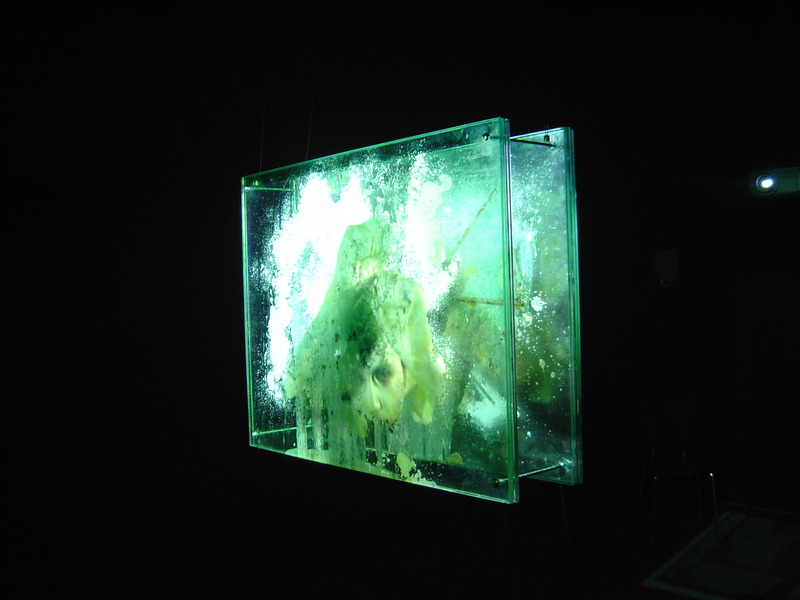 Video projections on the glass panels from both sides in which a slightly distorted human figure creature appears, ambivalently interacting with the ball suspended between the glass sheets (alternately putting pressure on it, and thus maintaining its suspended position, and/or trying to reach it by breaking the glass etc). Amplified sound of the figure hitting the glass with its fist and head. This work was commissioned for ‘Lost In Translation’ a group exhibition curated by Ales Vaupotic and Narvika Bovcon as part of “The Tenth International Computer Arts Festival, Maribor, Ljubijana (Slovenbia), Graz (Austria), Zagreb (Croatia), May 2004” organized by the Mladinski Kulturni Center (MKC), Maribor.